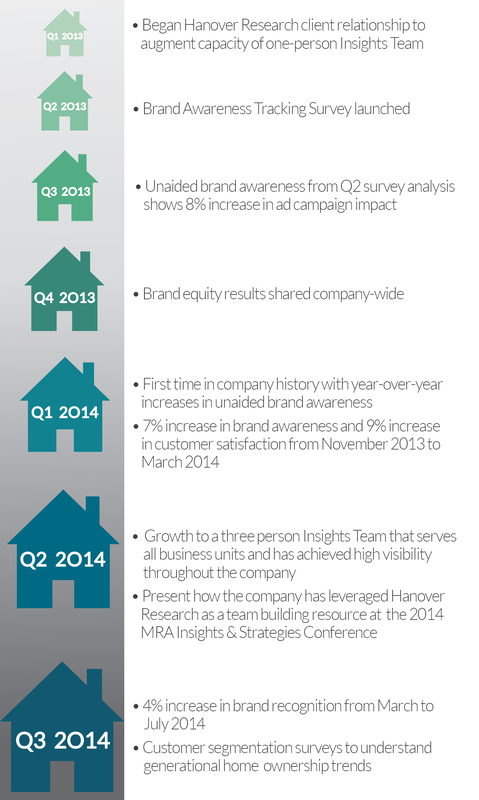 Clayton Homes partnered with Hanover Research in early 2013 to expand the capacity of its Insights Team. The company sought to tap into Hanover’s extensive analyst team to help justify marketing expenditures and understand returns on investments. To address this research need, Hanover conducted iterative brand awareness and equity surveys to general populations of interest and prospective homeowners. Hanover’s support enabled the Insights Team to gain a before, during, and after view of media campaigns and the impact they have on the Clayton Homes brand. 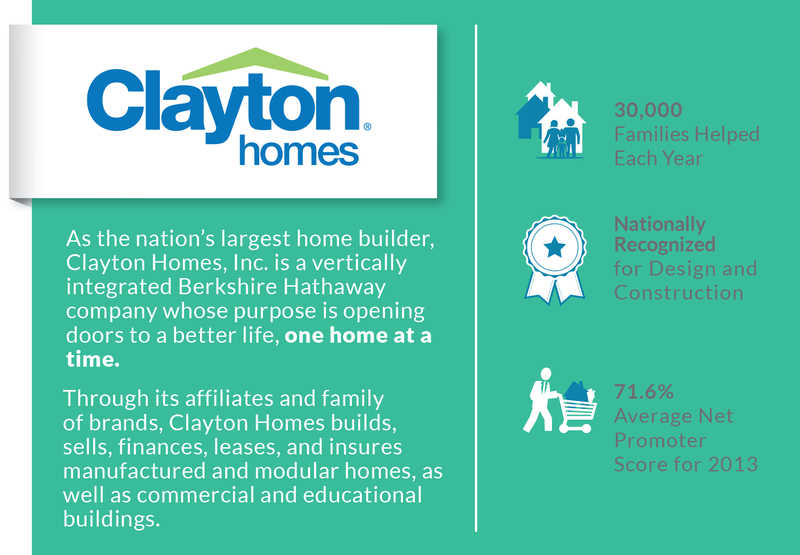 Further, analysts have helped Clayton Homes evaluate the needs of different consumer segments, enabling the organization to better understand its market and fulfill its mission of opening doors to a better life for all generations of home owners. The Clayton Homes Insights Team strives to be a business-critical advisor and internal resource. The timeline below outlines how Clayton Homes’ partnership with Hanover Research has helped the department achieve this goal, highlighting some of the actionable results garnered from this research relationship. Clayton Homes and Hanover Research will continue this partnership through 2015, providing the company with continual updates of its brand performance and adding research capacity as Kristen and the Insight’s Team prepare a strategic approach for capturing the millennial housing market.